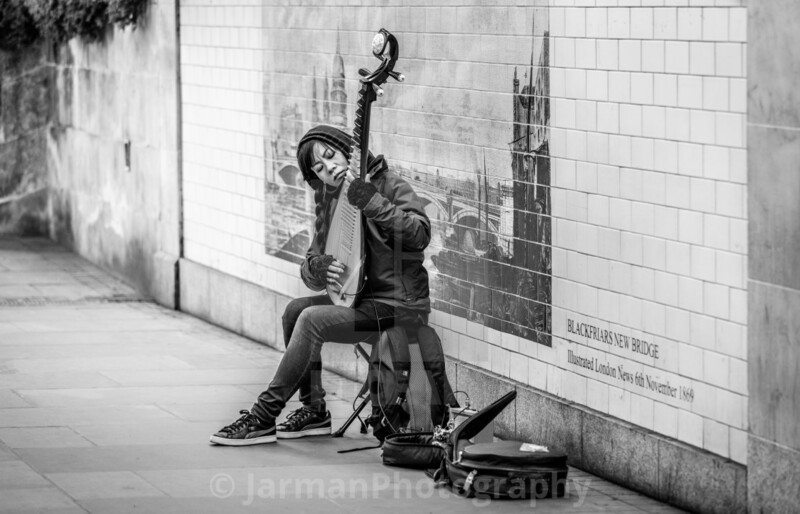 Buskers, travelling minstrels, undercover popstars (see BBC Radio 1); whatever name they go by, street musicians have populated cities across the world for centuries. UK cathedral cities, such as Bath and Oxford, have a long and proud tradition of street performance and no licence is required but popular spots have to be booked in advance. 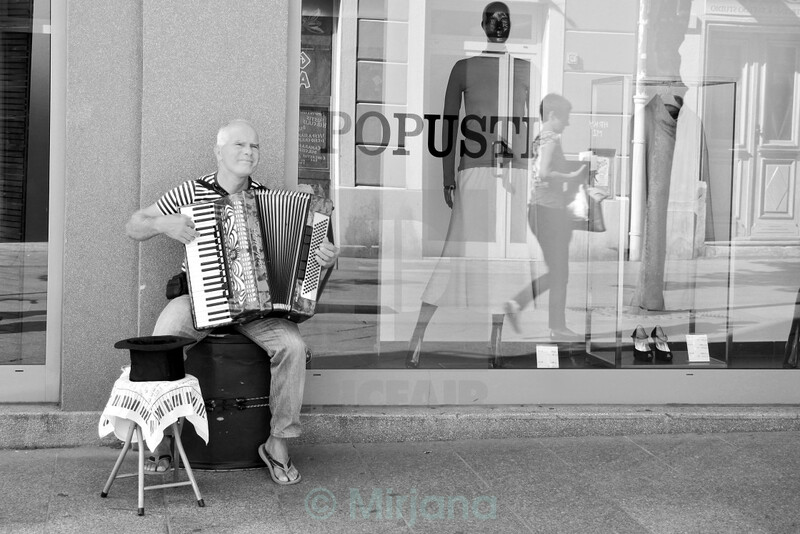 Other city authorities are not always so welcoming so buskers take their chances, hoping to make a bit of money before the police move them on. 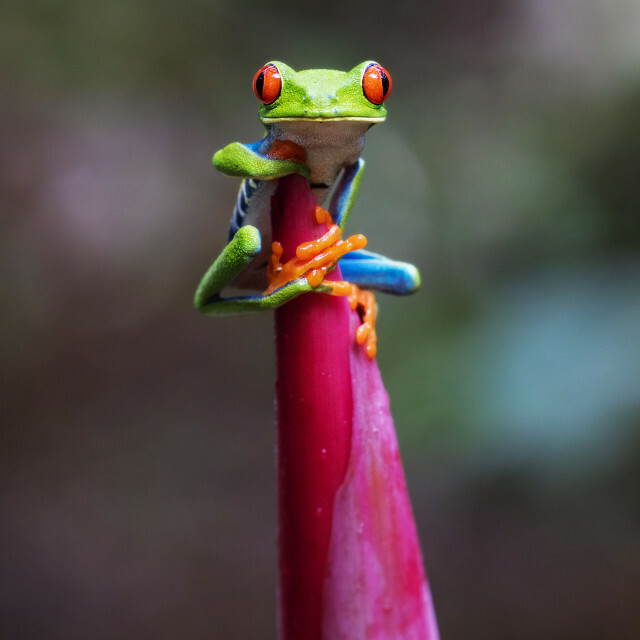 Nowadays, one is just as likely to stumble upon a guitarist surrounded by various pedals and a loop station, a modern day one-man band, as you are a penny whistle player. 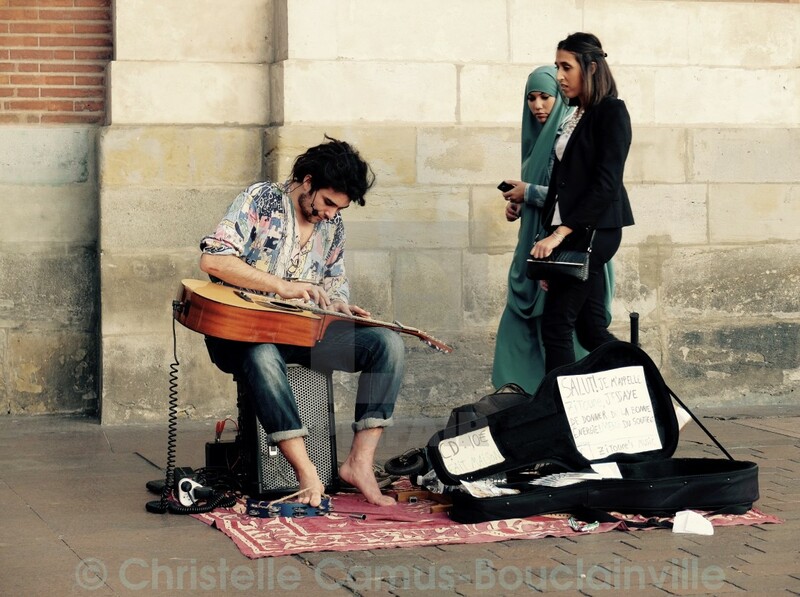 Music on the streets can make for a pleasant and convivial atmosphere. A lot of the time we walk on by but occasionally an ear catching rendition of a well-known song might cause us to slow our pace and take a moment to enjoy the sounds. 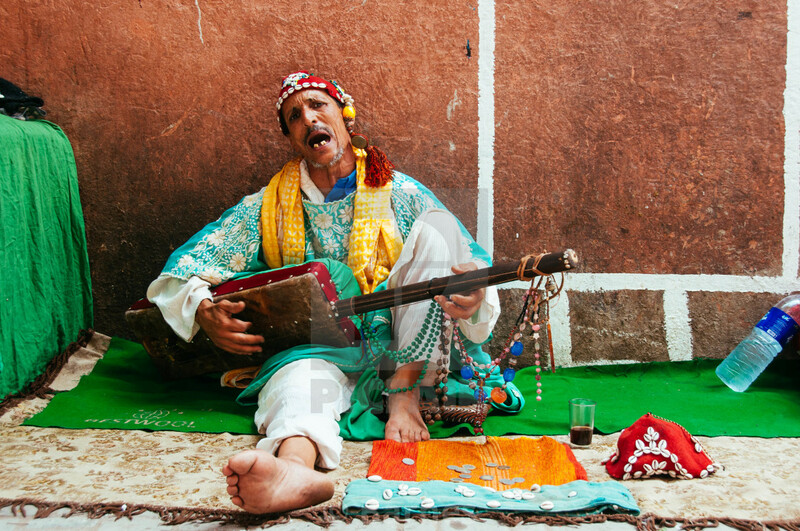 Who knows, one could be in the presence of the next Ed Sheeran, a former busker himself. 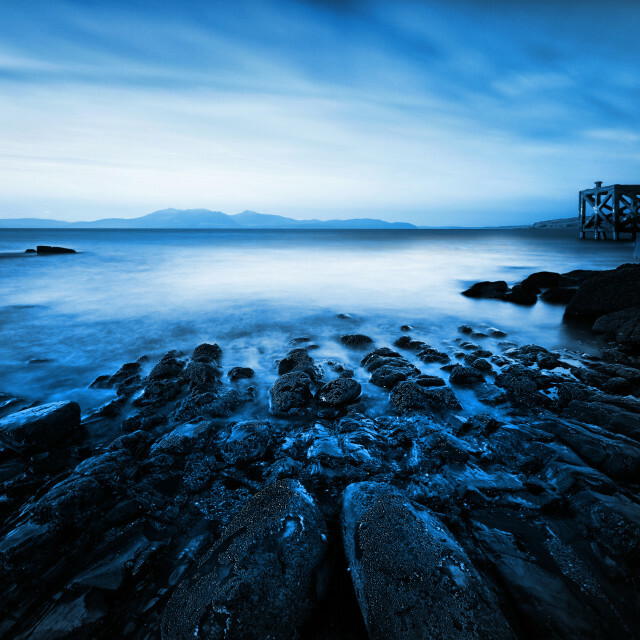 One thing that can be guaranteed; someone somewhere right now is singing Hallelujah. 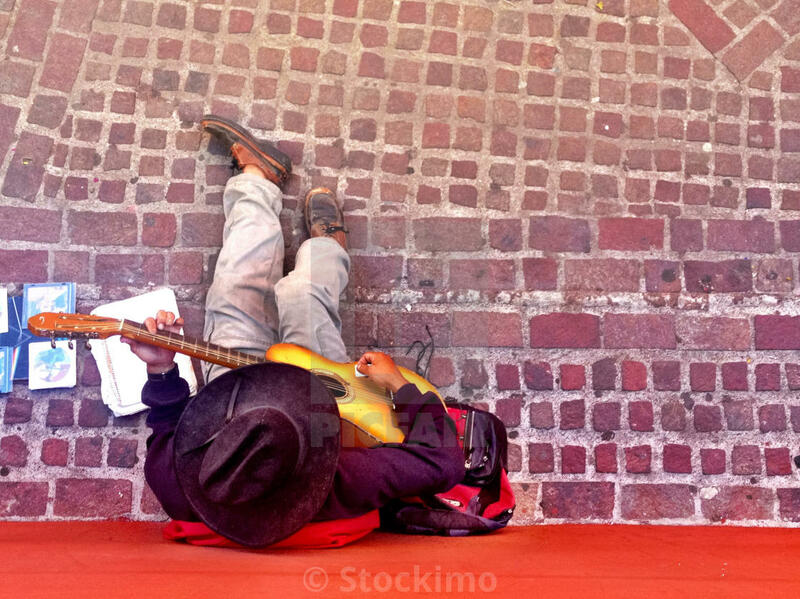 We’ve selected 17 images depicting street musicians from Trinidad to Serbia via China, a global community united in music. 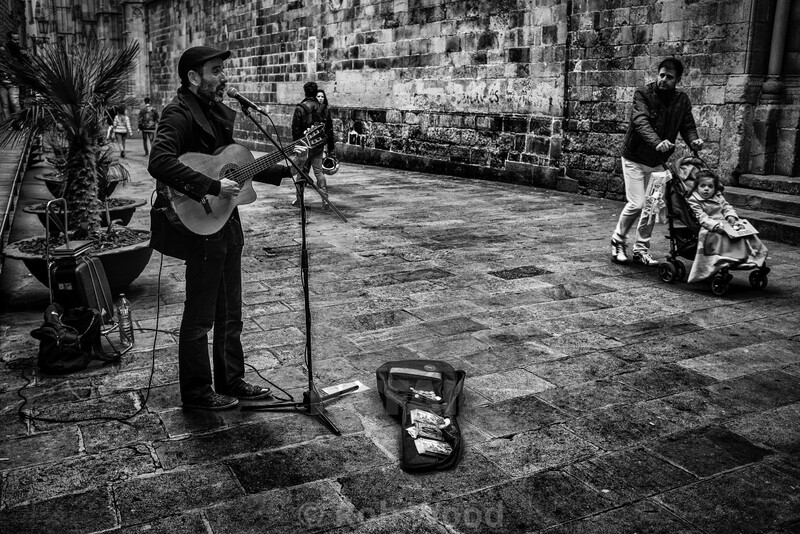 A busking guitarist sings on the streets of Barcelona whilst a Dad and his daughter look on as they pass by Sitting under Blackfriars Bridge, London. A Japanese lute player is captured deep in the moment. 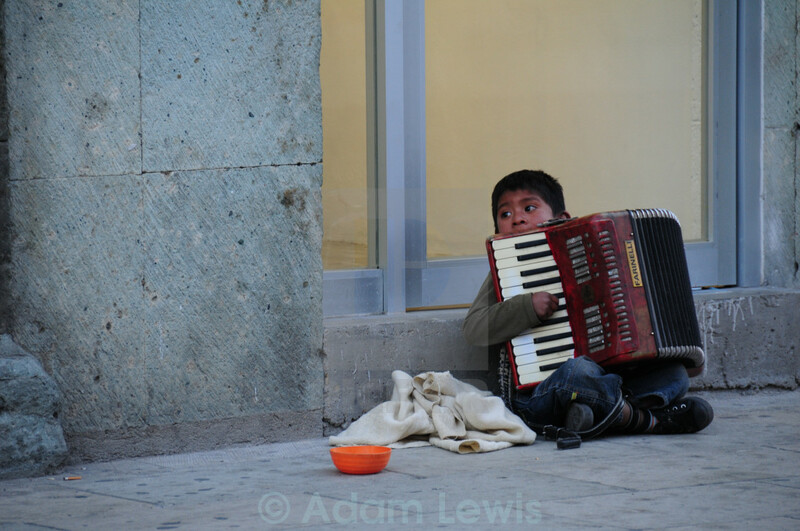 Almost dwarfed by his accordion, a young boy peers over the top of the instrument as he sits and plays on a street in Oaxaca, Mexico. A close up of a street trumpeter blowing for it’s worth, eyes shut tight as he does so. A bare-footed guitarist sits atop a speaker, his guitar across his lap as he plays. 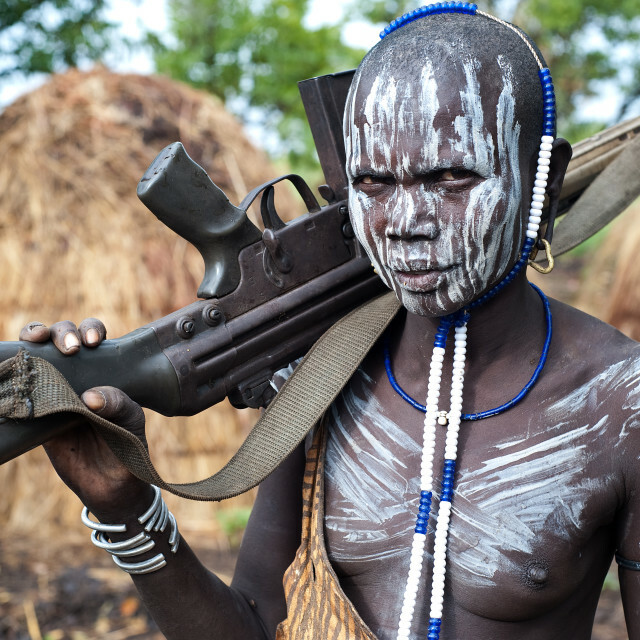 His CDs go unnoticed by two women who walk behind him. 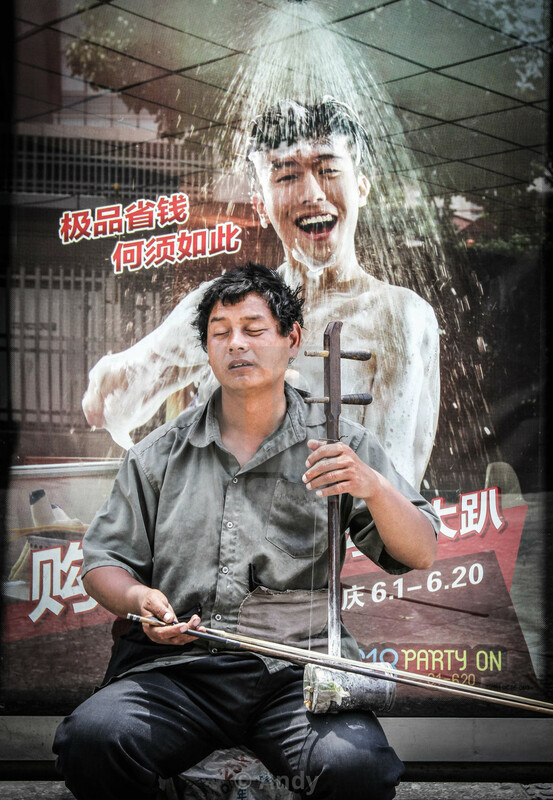 In Shanghai, China, a blind musician plays his erhu, seemingly unaware of the man on the advertising poster behind him. 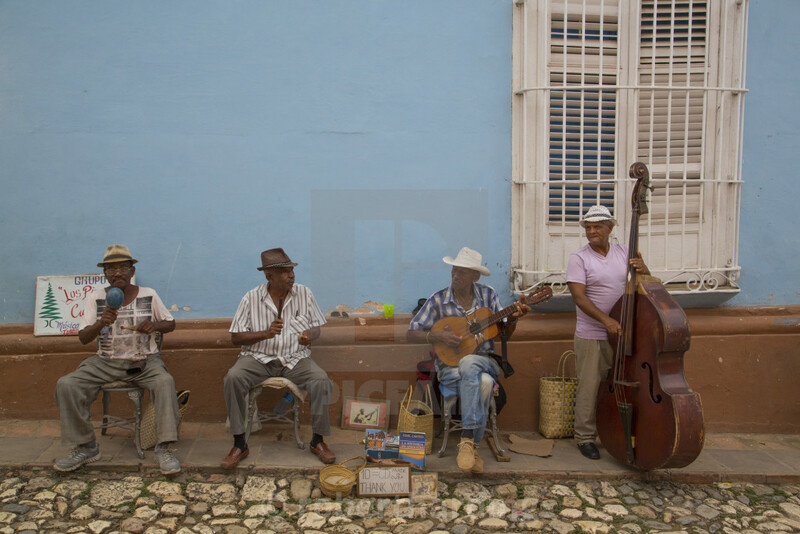 A quartet of street musicians; a guitarist, a double bassist and 2 percussionists, entertain on the streets of Sancti Spiritus, Cuba. 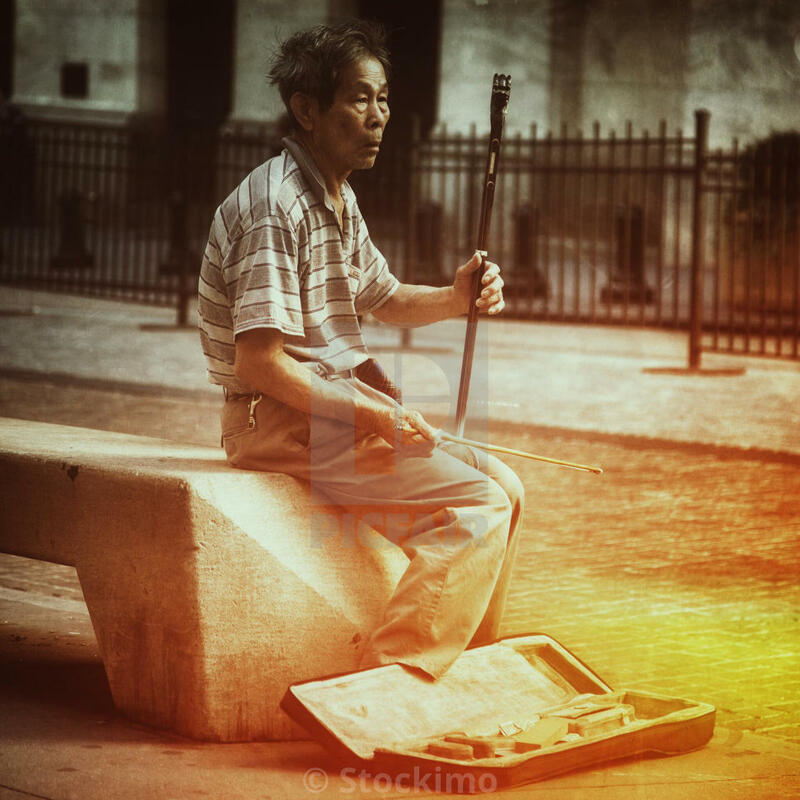 In this sombre and light leak photo, an erhu player on Wall Street, New York, plays, his case open at his feet for donations. 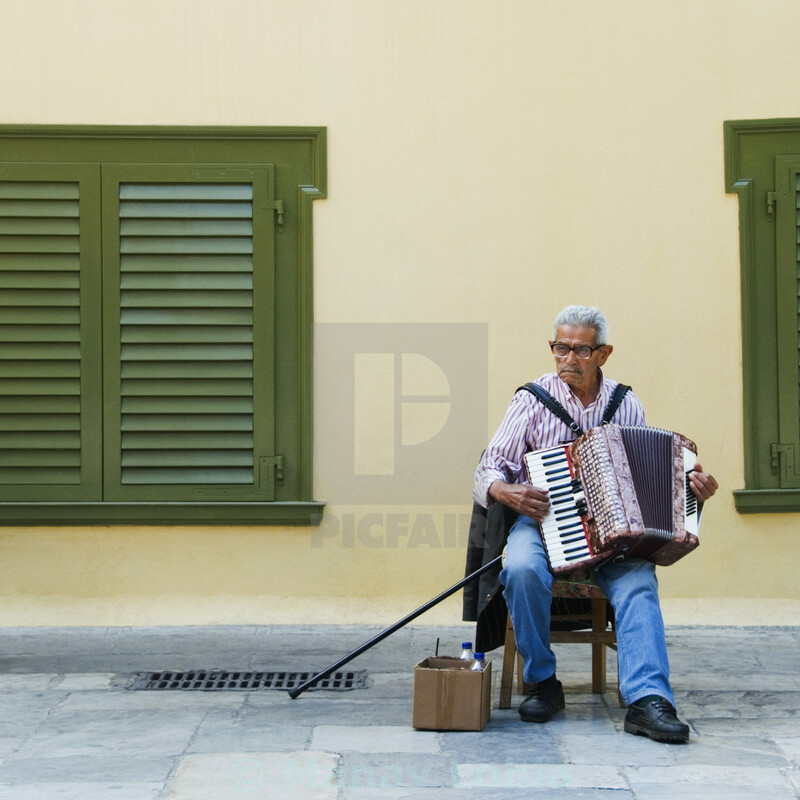 A young male accordionist sings as he sits on a street in Rua Augusta, Lisbon, Portugal. 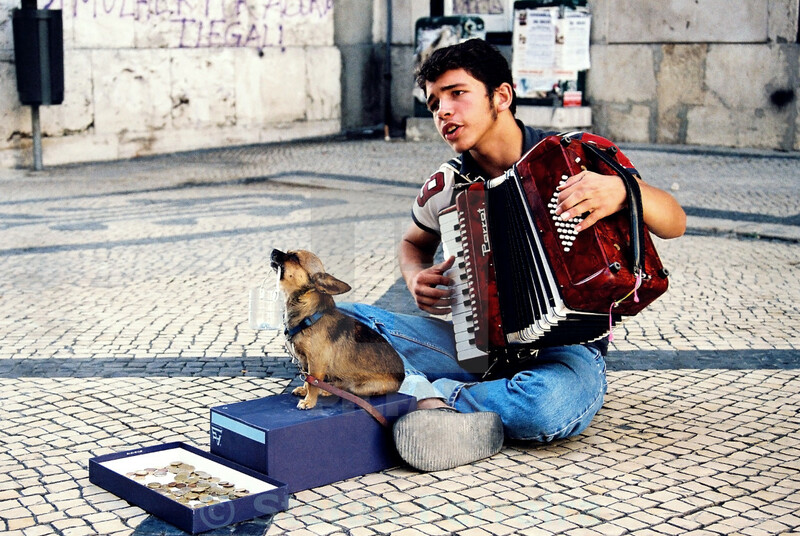 His tiny dog sits in front of him on a box, lifting a collection box in its mouth. 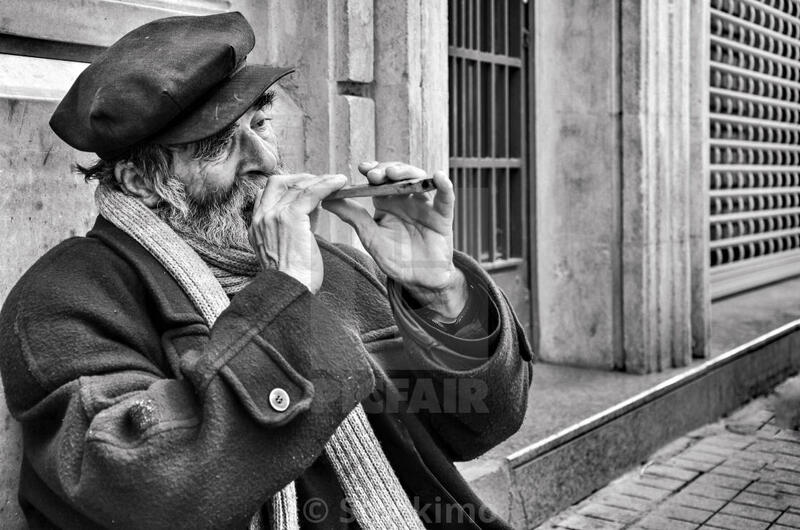 On a street in Istanbul, Turkey, a grey-bearded man, wrapped up in a winter coat and hat with a scarf around his neck, plays a small wind instrument. 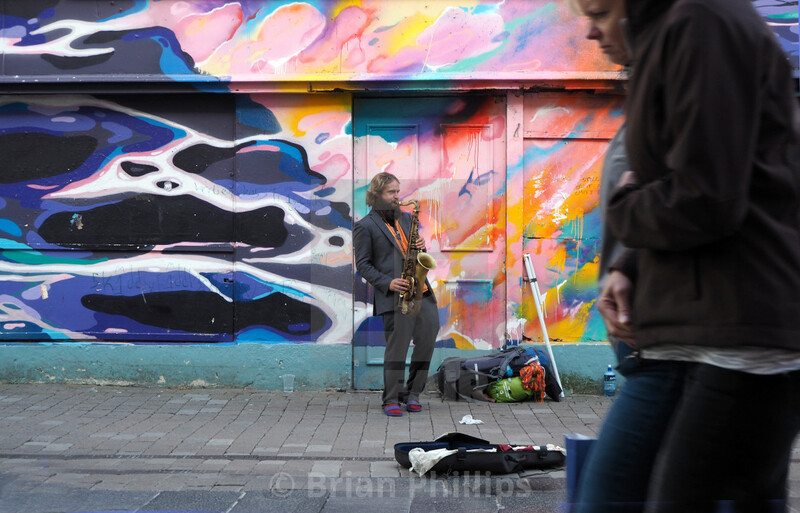 Against a backdrop of colourful street art a saxophonist in Galway, Ireland, blasts away. People in the foreground walk past without taking much notice. 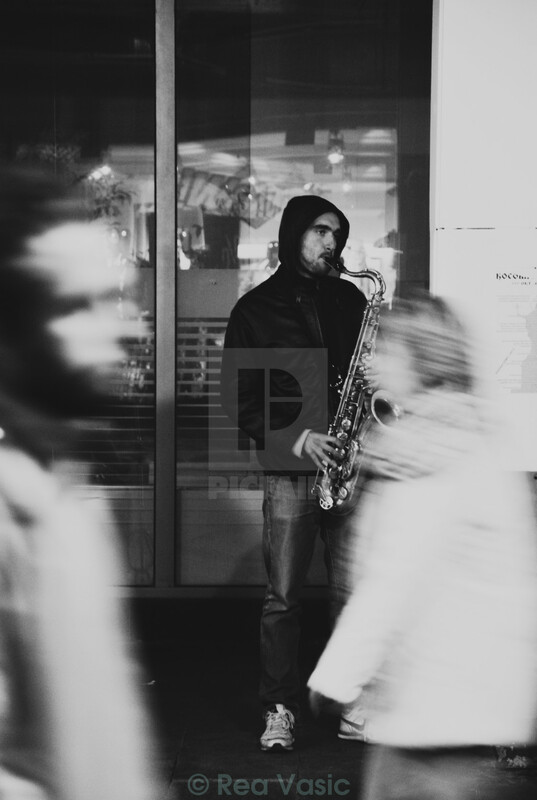 Passersby are a blur as they stride past a hooded saxophone player on the streets of Belgrade, Serbia. 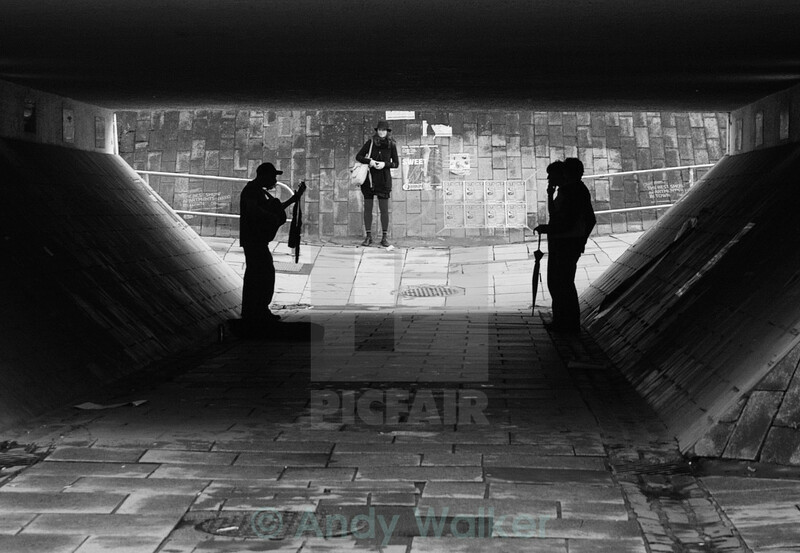 In an underpass in Edinburgh, Scotland, a silhouetted busker plays as three people look on and enjoy.